For today, I have opted to review two short films rather than take up separate reviews for each. They are Beautiful Dreamer and POP. Going in alphabetical order, we'll start with Beautiful Dreamer. Beautiful Dreamer is the first of the two short films I will review. It runs 26 minutes long. Mom (Jo Armeniox) has a terminal illness, so she stretches the remaining two years by going into space where she moves at the speed of light. She is able to visit her daughter Amy (played by Lila Savage Taylor at age 3, Caroline Bednar at 10, and Natalie Smith as an adult) once every seven years. As she visits Amy at various points of her life, the relationship has its ups and downs. Amy embraces her mother early on, then rejects her as a teen, only to navigate this relationship while living out her life, where Amy has children of her own, and then grows into old age, where Amy's children don't visit. As their time starts slipping towards its conclusions, Amy and Mom go together into space, where they will bend time together. Director and co-writer David Gaddie, who wrote the screenplay with Steven Kelleher, created an extremely moving story on the brevity of life. Based on Memories of My Mother, a short story by Ken Liu, Beautiful Dreamer does a beautiful job of making the viewer think about the questions the story asks. If you knew you had a short time to live, would you stretch out your days to last into decades for a brief glimpse of your child, or would you perhaps take an alternate route and live out those days with someone too young to really remember you when you leave? As Mom points out, she would have died by the time Amy turned five, so when Elderly Amy (Lynn Cohen) asks her mother whether it was worth it, it's more for us to answer. Beautiful Dreamer touches on an important truth: no matter how old or young we are, we all yearn for our parents. Even those who are senior citizens now were children once, with mothers and fathers they loved and who hopefully loved them. All people, in their various levels of narcissism, forget that, but Elderly Amy's cries of "Mommy" hit us because it is so real to the human experience. Gaddie drew out beautiful performances from Armeniox and Smith as the mother-daughter team. In a brief running time, we see them work out their relationship, one that has feelings of guilt, abandonment, laughter, regrets, and most importantly, love. Armeniox has a quiet performance, one where she communicates with her voice and manner the desperate desire to hold her child but not being able to, while Smith shows the complexity of Amy: from anger to acceptance. In many ways, Beautiful Dreamer is quite universal: how at times we can't stand to be with our parents only to long for their touch one more time when they are gone. It uses its science-fiction veneer to speak to how fragile and quickly lives go. Credit should also go to cinematographer Shawn Green for creating eerie imagery, particularly when we see time go past. The visual effects were also quite well-crafted, especially given that Beautiful Dreamer was a small-budget film. Beautiful Dreamer even ends with a haunting song, Anywhere by Guy Brown, that would probably be a Best Original Song contender if the song was written for the film and if Beautiful Dreamer was expanded to a feature-length work (which perhaps it might, though it's quite good as it is now). While the film may remind some of The Age of Adeline, with the daughter growing older while the mother stayed the same, this is not to say The Age of Adeline and Beautiful Dreamer are the same. They just happen to touch on similar points. Beautiful Dreamer touched me on a very deep, personal level. It may be due to the fact that one of my best friends died earlier this year, quite suddenly and unexpectedly, so a short film on the brevity of life would hit me harder than normal. It may also be due to the fact that I am thankful that I still have my mother with me and that our relationship has grown smoother over the years after some turbulence. 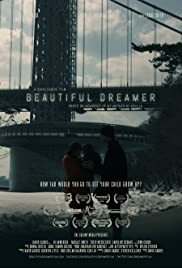 I found Beautiful Dreamer a very touching and moving short film, with strong performances and a haunting visual style. POP is the second of the two short films, and at ten minutes, it may be the shortest live-action film I have reviewed. Bruno the Clown (Simon Conlon) is facing career doldrums. His latest gig at a children's birthday party is a disaster. The kids are bored, the adults inattentive, and he is not doing a particularly good job either. The nadir comes when he 'magically' turns a stuffed rabbit into a real bunny in a tutu. Encouraging the birthday girl (Lila Eversgerd) to hold it, the bored child begins to cry, saying the rabbit bit her. Bruno goes home and crashes out on his couch, having downed a beer. He slips into a dream where he ends up floating away when he over-inflates a balloon until it pops. He ends up on the floor with a gash in his head, the result of crashing into the bottle. At the hospital, he is still sad until he hears laughter in the next bed. Pulling the curtains, he finds a child being entertained by 'Dr. Molly' (Briar Seyb-Hayden), a female clown. Dr. Molly and Bruno have an impromptu double-act for the sick kid (Henry Clarke) and find that they are kindred spirits. POP may not have great special effects (the green screen in his dream sequence is obvious) or be revolutionary; it may not even be strictly logical (how Dr. Molly and Bruno can work so easily in their double-act without it being rehearsed is a stretch to believe). However, given it's a short film, one that like Bruno wants nothing more than to please, you have to be generous with it. I found POP to be cute and whimsical. Writer/director/producer Karen McPherson created a love letter to the idea of the importance of whimsy and making people smile. POP is mostly a silent film, with the only actual dialogue between the birthday girl, the mother, and Bruno, which revealed their Australian background. I wonder why McPherson didn't go all in and make a straight silent film, which POP could have easily been. Still, Conlon was excellent as Bruno: world-weary without being morose. Seyb-Hayden was also sweet and charming as 'Dr. Molly': given that her name tag read 'Dr. Molly' and she had on a clown nose and a generally funny outfit under her lab coat, I figure she is not a real doctor. As a celebration of the need for joy in this world and the innocence of a truly receptive audience (the birthday party looked hopelessly dull), POP was a delight. McPherson was clever in showing the adults talking in the background, oblivious to both the children and how disastrous Bruno was in his act, and she shows she has great talent and hopefully like Bruno & Dr. Molly, a bright future ahead as a writer/director. Perhaps it's me, but I see a touch of Jacques Tati in POP.